Kevin lived and breathed sport. At the age of 20 he was studying a Bachelor of Applied Science in Exercise Physiology at the University of Sydney and had an internship with the Sydney University Football Club. And, to fund his studies, he was working two jobs – both involving sport. One as a swimming coach, the second selling bicycles. On Mother’s Day 2012, Kevin’s life went from the fast lane to a standstill. He was cycling with a colleague when his bike hit a pothole and sent him headfirst onto the other side of the road. Even though he was wearing a helmet the impact of the crash left Kevin with a serious traumatic brain injury. “It was like beginning life again from square one. I pretty much lost 20 years’ worth of life skills.” says Kevin. People say you never forget how to ride a bike, but Kevin had to relearn how to do everything. Everyday actions like speaking, standing and eating had to be relearned at Royal Rehab through a series of intensive rehabilitation sessions. Kevin spent 18 months at Royal Rehab as well as months continuing his rehabilitation as an outpatient. During this time, it wasn’t just physical processes he had to remaster, but mental ones too like being able to recall information and retain memories again. “From personal experience, the most minute improvements after an injury means the whole world has changed,” says Kevin. Kevin’s physical achievements have been inspiring - progressing from sitting in a powered wheelchair to running in marathons and endurance events around Australia. So, Kevin used his experience to support other brain injury patients in their rehabilitation journeys. He’s volunteered in Royal Rehab’s High Mobility Group sessions and shared his story at events such as the Royal Rehab Gala and City of Ryde Volunteer Recognition Awards. 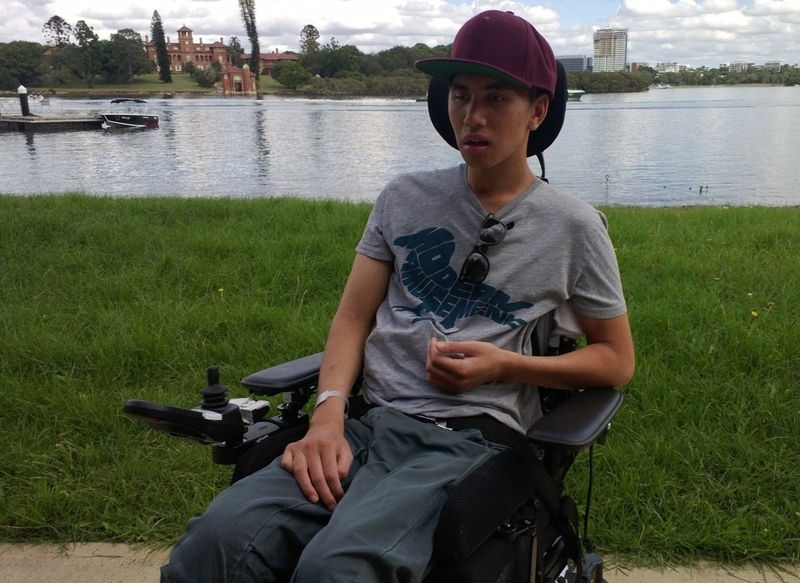 Kevin has now resumed his studies in Exercise Physiology at the University of Sydney and continues to inspire others and help them on their rehabilitation journey. This Sidetember, you’ll be taking up the challenges to see how it feels for someone like Kevin to live with a brain injury. With your efforts, together we’ll be able to raise enough to continue to fund the Return2Sport program, giving guys like Kevin a way to get back into life.